Emily is a WAHM of 4 children. 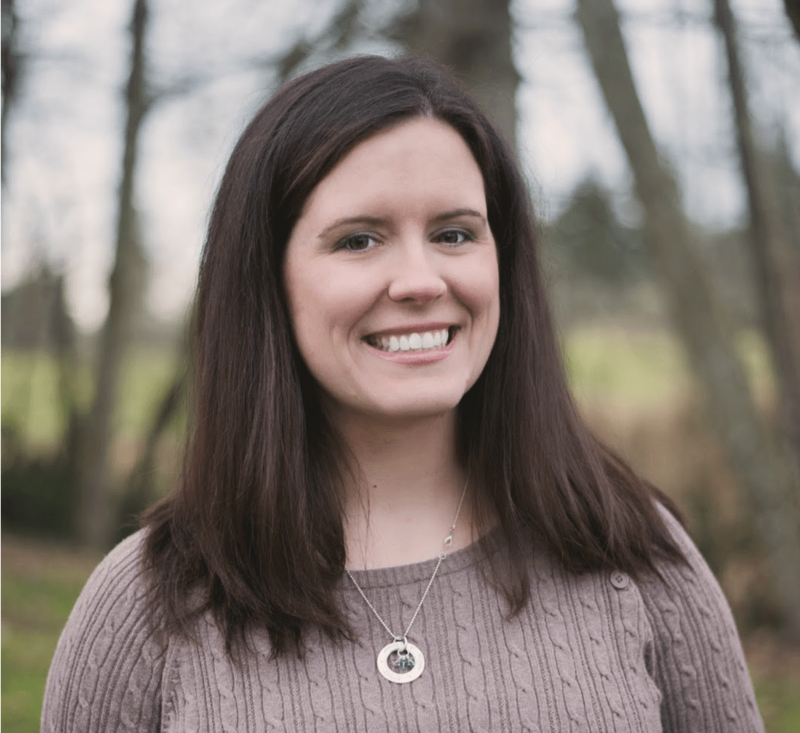 She is the Assistant Editor for Happily Hooked Magazine, the owner of Em’s Corner, and has been an avid crochet pattern tester for several designers over the last four years. 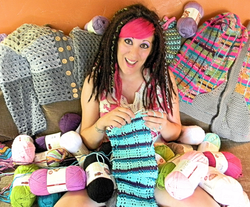 She learned to crochet by watching YouTube videos and is continually looking for new and challenging crochet designs. Welcome, I’m Jennifer! 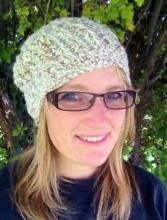 I’m the face behind A Crocheted Simplicity! I’m a self-taught crafter of a variety of different mediums. My latest and greatest passion has been crocheting! Just 3 years ago, we moved up to Michigan’s Upper Peninsula. The winters can be really long and I needed something to do to pass the time (and keep me warm), crocheting was just that “thing”! I found that making afghans for wedding gifts not only kept my hands busy, they also helped to keep me warm during the long winter months. I received a lot of positive feedback from the items I created and was urged by many friends and family to publish my designs, so thus it began, my journey into writing crochet patterns and A Crocheted Simplicity was born! 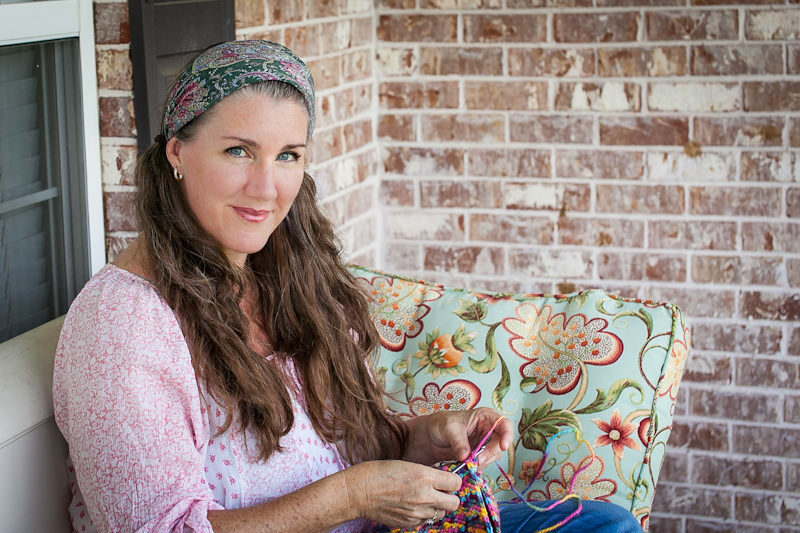 Tanya Naser is the designer behind HodgePodge Crochet. 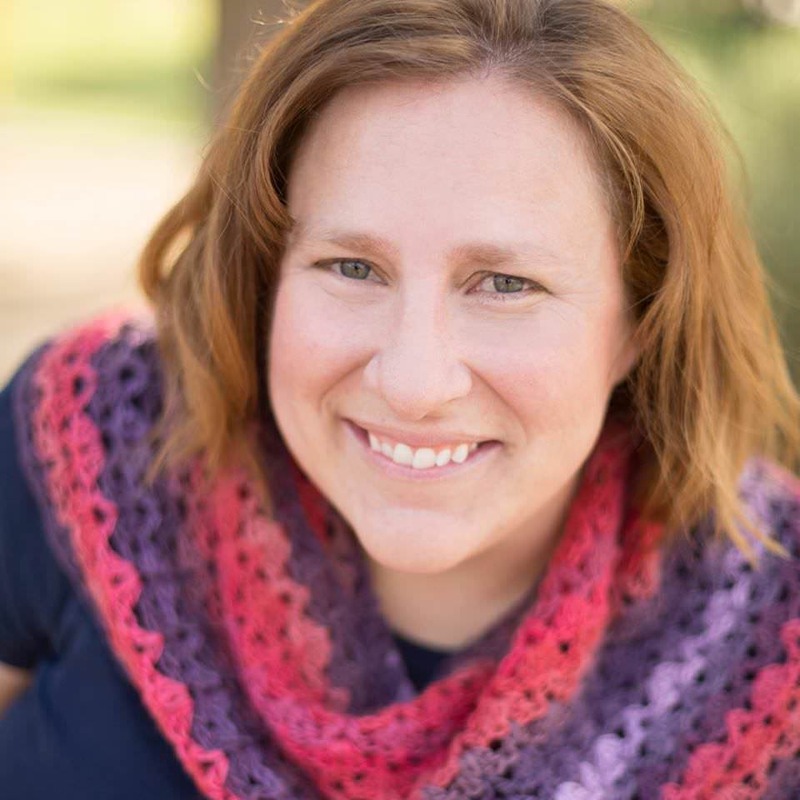 Begun in Nov. 2011 as a hobby, HodgePodge Crochet quickly turned into an active and vibrant community of budding and well-seasoned crocheters striving to populate the crochet market with amazing projects. Tanya’s style of crochet reflects her Hodge Podge nature with projects ranging from infant booties to crochet wire jewelry and at the HodgePodge Crochet blog you will find not only crochet patterns and tutorials, but also projects and inspiration for crafting with polymer clay, sewing, knitting, and a wide array of other crafty goodies to keep you busy for a long time. HodgePodge Crochet was a runner up in the Craftsy Blogger Awards Knitting & Crochet category in 2013 and was nominated as one of AllFreeCrochet’s top bloggers of 2014. 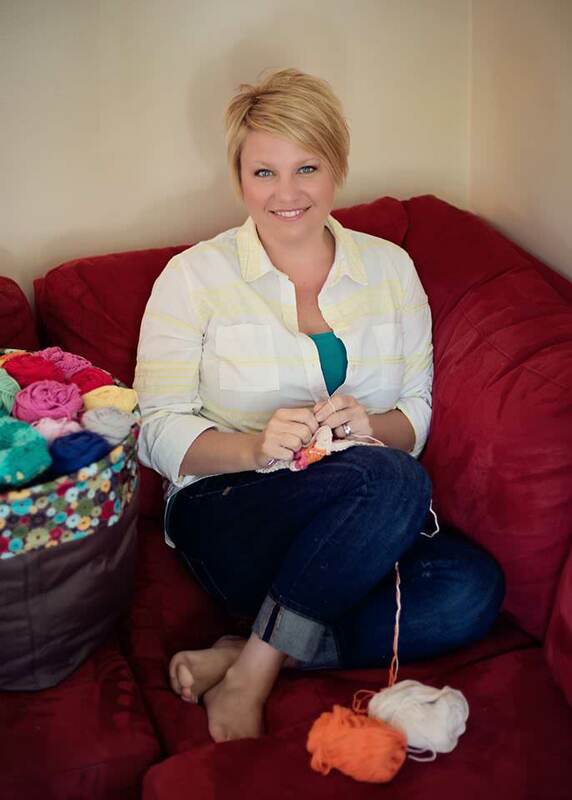 She was also honored to be chosen as one of the 9 esteemed judges in The Crochet Awards Judges Panel: 2015 First Quarter. 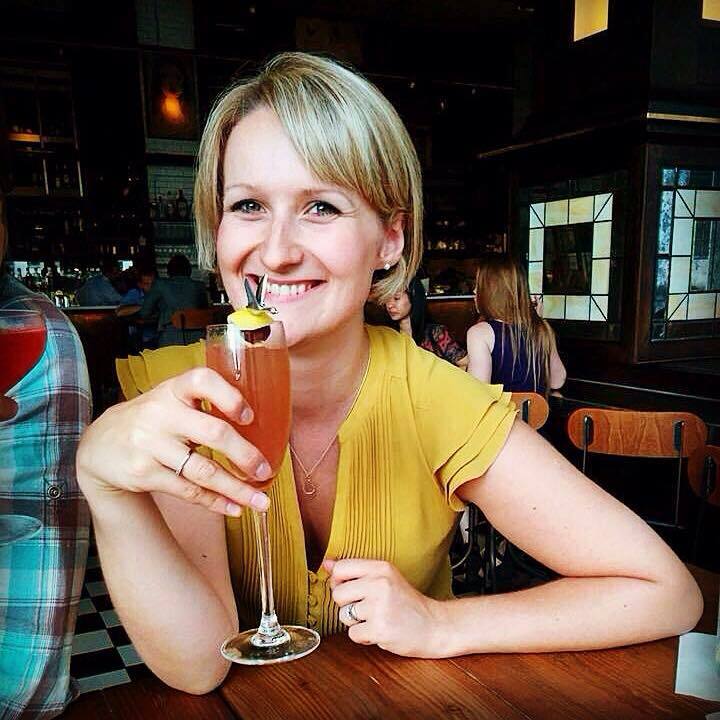 Tanya’s work has been featured in several websites and digital magazines. Danyel Pink is the Editor-in-Chief of Happily Hooked Magazine and the designer behind Danyel Pink Designs. After many failed attempts at learning to crochet, she finally figured it out in 2007, and has been designing since early 2009. 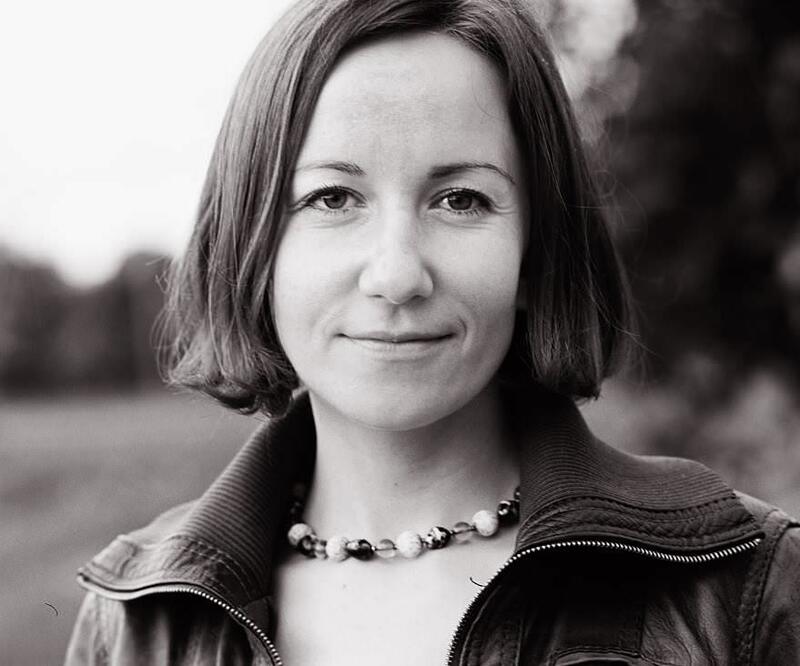 Her works have been published by Red Heart, as well as in several books, websites, magazines, and calendars. 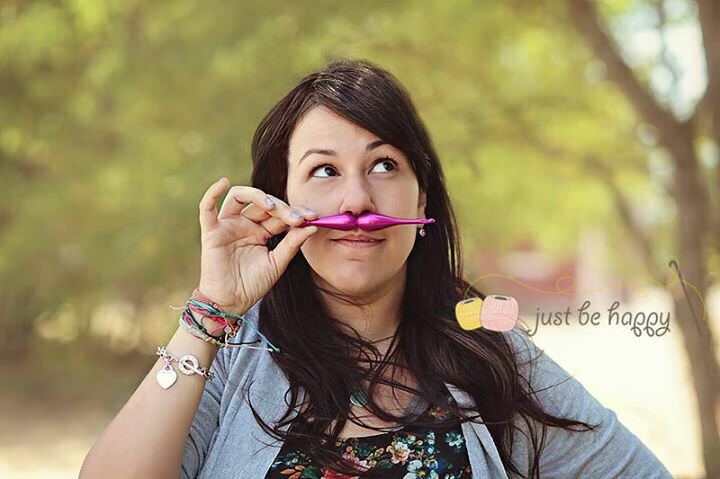 She was awarded as one of the Top Bloggers in 2013 by FaveCrafts.com, and was nominated for 3 Flamies in 2014. Hey! So nice to meet you! I’m Cara Louise, and you’ll see me scurrying back and forth through the cafe wearing my apron. I probably won’t join in the conversations too often, but you can be sure I most definitely am eavesdropping! Making sure the coffee pot stays full and that there are plenty of favorite tea flavors is my job here. Oh, and those fresh baked muffins? Yep, I did that too! I’m the behind-the-scenes gal, and actually love being able to make sure that your cafe stays an inviting and comfortable spot to hang out! I crochet too though… usually with those tiny hooks and skinny thread and I’d love to show you sometime! Take a swing by Heritage Heartcraft the next time you’re going through the neighborhood. I’m Maria and I’ve been an avid crafter most of my life. I have always designed my own crochet work, but finally began writing the patterns and launched Pattern Paradise in 2012. I love to design all types of crochet items but have a soft spot for baby items. In the Fall of 2013 I started my blog page so that I could share stories, tips, tricks, free patterns and the occasional recipe with my followers. 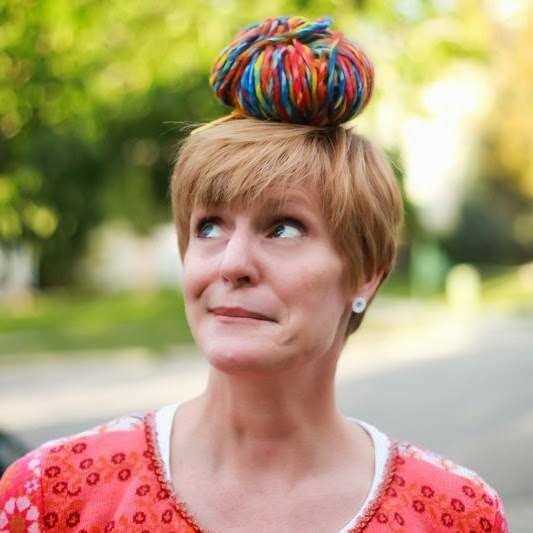 Cheerful, Creative, Crocheter and Collector of all things Colorful describes me to a C–er, I mean a T. My sweet, left-handed granny taught me (a righty) to crochet when I was but a youngster. My first project was a hideously long scarf for my dad. It seems I just didn’t know when to stop–something my teachers told me in school, too! Although crochet and other craftiness have always been part of my life, I channeled my energy into teaching Jr. High and High School sciences for many years. I love to create–and my brain pretty much never shuts off. When I am not “yarning” (as described by my youngest), I treasure time with my family, friends, running, swimming, nattering, thrift store shopping, and learning new skills. Hi! 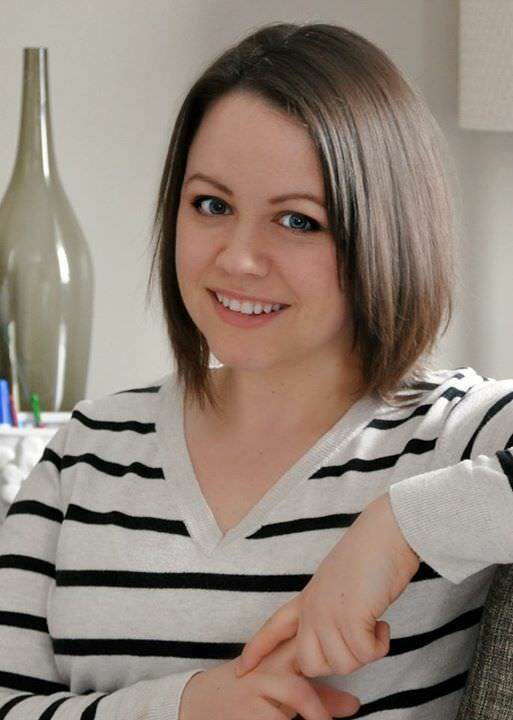 I am Alessandra Hayden, the designer behind Just Be Happy Patterns. I am a coffee lover, a chocolate fan and a crochet addict. I am a mom of two full of energy kids, Lucas and Sophia. I learned to crochet from my grandma when I was 8 years old with a tiny hook and slippery silk thread. Creating new designs is my passion and it’s amazing that I get to do it as a job! Hi! 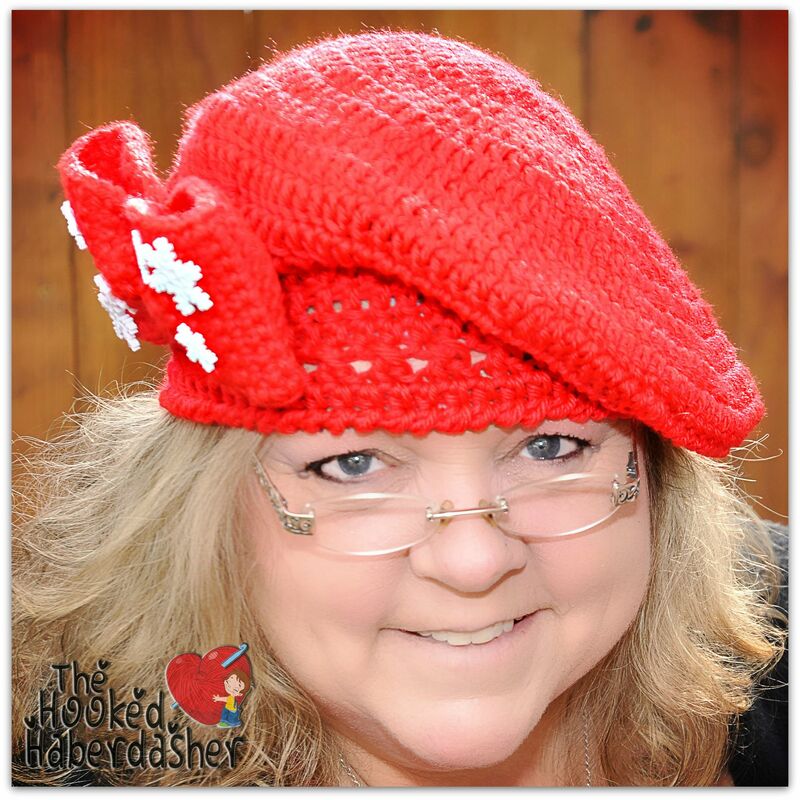 My name is Rhondda and I am the Crochet Designer & Blogger behind Oombawka Design. I am a happily married SAHM of 2-young and very adorable children: Darla and Drew. I invite you to visit my website for crochet patterns, tutorials, reviews and giveaways – to participate in my weekly link parties every Tuesday and Wednesday, and to join me on my Facebook Page to interact with our fabulous Crochet Community. Crochet Everyday! Hello! My name is Tatsiana. I am a designer of crocheted interior decorations, home accessories and toys and owner of LillaBjörnCrochet. “Lilla Björn” means “little bear” in Swedish. I am not from Sweden… But I love cold and gray sea, fresh windy air, and I like to crochet little bears. I studied journalism and opera singing, I edited a magazine and sang in a choir. But crocheting and knitting has always been the greatest passion of mine. And one day my hobby became my daily job. I enjoy creating new things, combining colors and drawing with yarn. I can spend long hours learning new techniques and seeing to where the whole process is leading me… And I can also talk about that for hours! I have so many ideas and wish I had 48 hours a day to give life to all of them. Four years ago, I self taught myself to crochet when I was on bed rest while pregnant with my youngest child. While waiting for my little bundle, I decided I would make some photography props for his newborn photo shoot. I started knitting and then crocheting but didn’t start designing until 2012, beginning with hats and scarves and am now starting to work on garments. When not crocheting, I love spending time with my family, reading and being outdoors. I try to find ways to do those things and crochet; I even listen to audio books while crocheting! I love working with unique, advanced stitches. I was blessed with two dear Grandmothers who were wonderfully gifted and loved all the arts of handcrafting. At their knee, a wee little blonde girl learned the fine art of crochet under their wise tutelage. Now that little girl has grown up, enjoying a lifestyle that affords me the time to put hooks, yummy yarns and fibers back into my hands, returning to the joy and fun of the art of handcrafted crochet. The Hooked Haberdasher is the third company I’ve launched as a sole-proprietor and is my favorite! My hands are never idle; designing and publishing both free and paid crochet patterns. As a very detail oriented artist, I design and crochet with love, embracing the virtues bequested to me by those two beautiful Grandmothers. Hi! 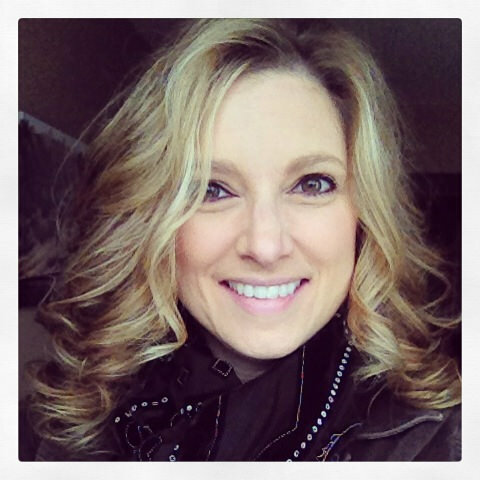 My name is Pam and I am the owner and designer of Sincerely Pam. 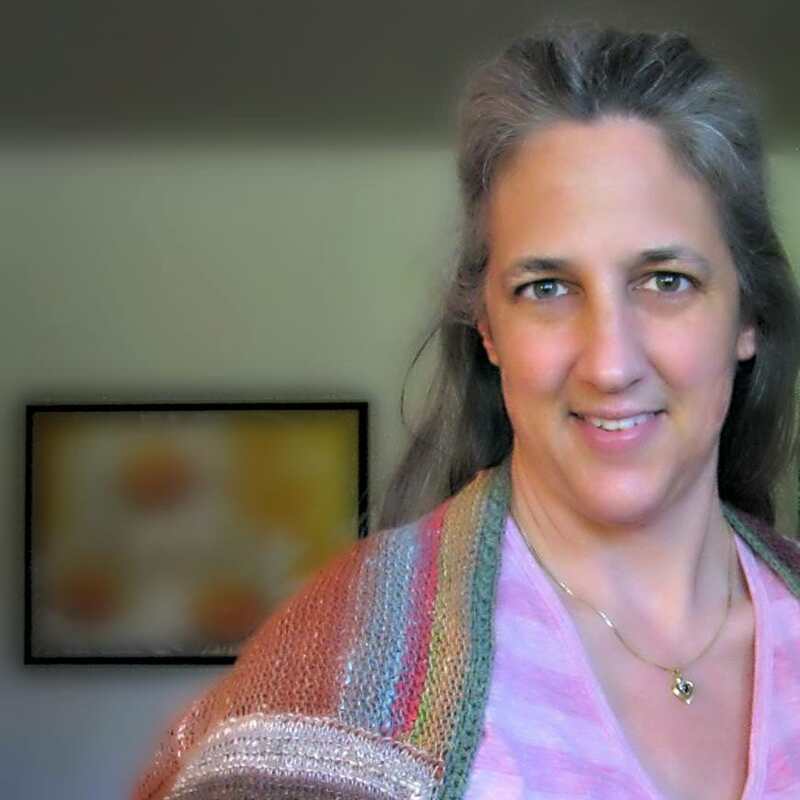 I am a self-taught Crocheter since Feb 2012 having entered the design world in April 2013. What began as a simple hobby has blossomed into a passion for all things fiber. In my first year Designing I published 40 patterns ranging from gotta-have Collections to animal-inspired cowls and pillows. In Dec 2013 I become a proud member of the Design Wars community. My Marek Vest was named Favorite Design in the Back to School Challenge 2014 and my Warm Hug Shrug won the Heads Up Challenge in November 2014. Right now you can find me puttering away at new designs that work hard to challenge me as a Designer, and hopefully inspire you to test your limits as well! My grandmothers both taught me to crochet when I was a little girl, but until the last few years, all I ever made was afghans. In November of 2010 I got back into crocheting and within a few months I was tweaking patterns, then writing my own. This has become my full time job and I love it! My patterns are known for texture and for including all sizes in one pattern! 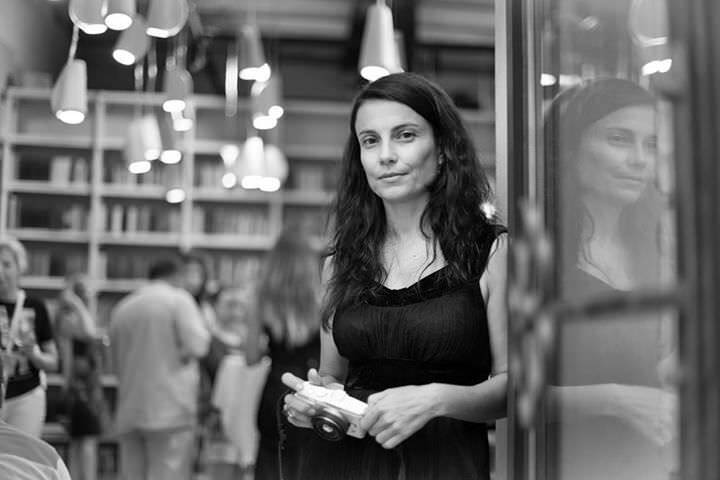 I’m Ana, 43, married, mother of twin boys coming from Ruse, Bulgaria. I’ve learned from mom and granny how to crochet, knit, sew, cross stitch in my childhood. I work as a European Grant consultant. In 2011 I started my etsy shop to share mom’s knit and my crochet. 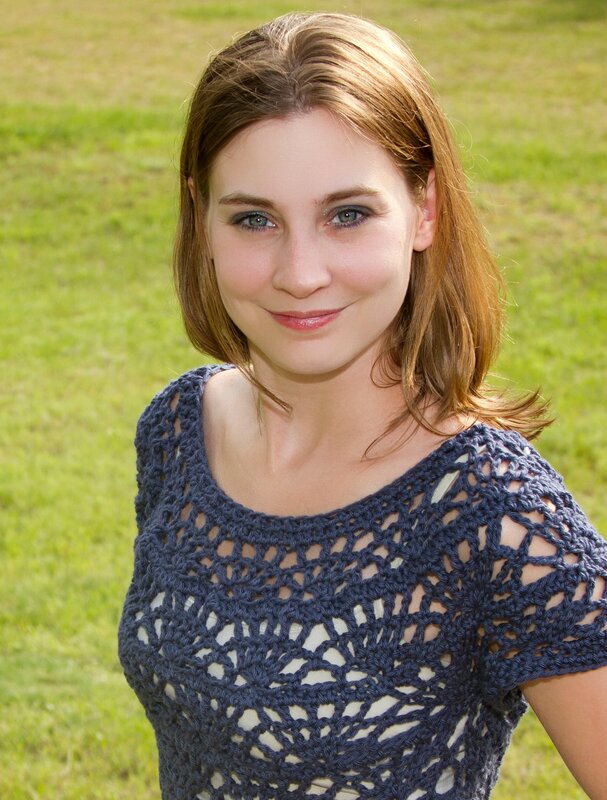 In 2012, I started publishing my crochet patterns because some clients asked me to share them. Last year I was invited to participate in Design Wars and I realized that I have a second profession – that of a crochet designer. I’m very happy to have the opportunity to combine the creative part of myself with the practical one of a working woman. I first learned to crochet when my daughter was about a year and a half old to pass the time when she napped. Youtube was my teacher and I practiced by making hats for my little girl. Friends and family urged me to take the plunge into selling my creations, and in January of 2013, From Home was born. To date, I have released nearly two dozen patterns, and keep myself busy selling in my Etsy shop; www.fromhomecrochet.etsy.com. I am a stay at home mom and an active yarn hoarder, and am lucky enough to have a husband who supports both. We live in North Western Ontario in Canada with our two pets; an old grumpy kitty named Cutie, and our new little (big) puppy Odin. In addition to playing with yarn, I love outdoorsy adventures like camping, hiking, sports, winter play and I have a passion for chocolate. 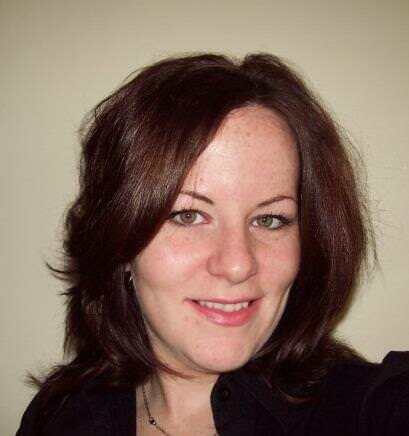 My name is Ashley Leither and I am the Designer and Owner behind Ashley Designs Corner. 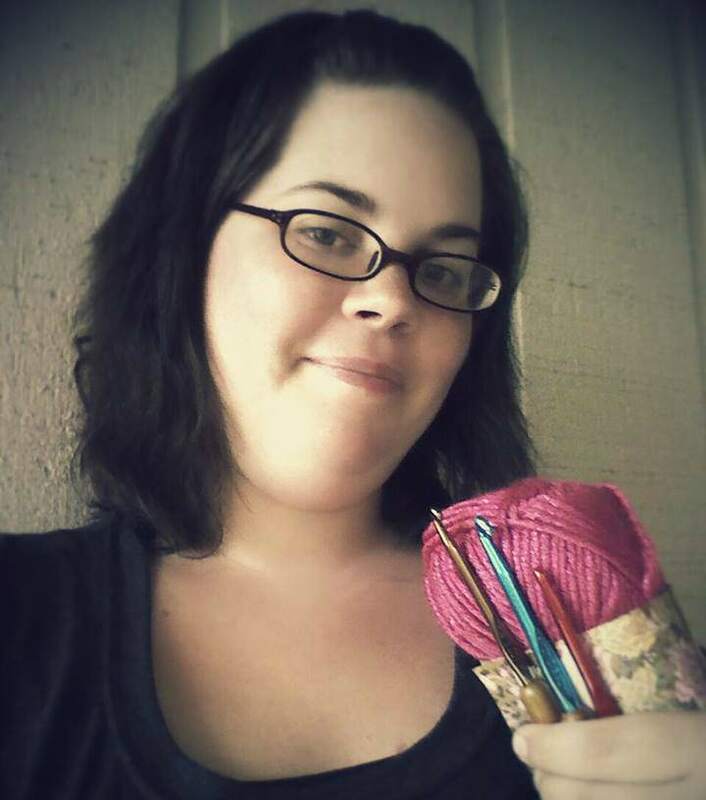 I am a stay at home mom to two beautiful little girls, a wife and a yarn lover. I live in HOT Texas heat but grew up in Virginia, which is where I get my love for making beanies and blankets for those few winter days. I learned a little crochet and knitting in high school from my mom, but didn’t pick it up again until 2011 after my daughter received a crochet beanie as a gift. That is when the passion began for crocheting and the inspiration to design. After several months of crocheting every day I began to design my own patterns and became even more addicted to crochet. I’m totally addicted to crocheting! I was raised by a super crafty and major business woman mom and have taught almost everything, including basket weaving. As you can tell by my projects, I love bright colors and try to put my snappy touch into all I do. When I’m not crocheting or on my computer, I carry a notebook for sketching. I love finding inspiration for projects and color everywhere I go. Thank heavens for a camera in my pocket at all times. I live in the creative chaos of photography, crochet, polymer clay art, natural birth advocacy, cooking, blogging, homeschooling, gardening, window shopping and since I love trying out new stuff, it’s a sure thing that the list will grow longer in time. Though there is much joy and fruit in all of this, it’s no wonder that I often refer to my life of “madness.” I journal all of this Madness on my blog, Mad Mad me. My hope is that through sharing and showing the work of my hands and the joys and trials of my heart, others will be encouraged to embrace the Beautiful Chaos that comes from living, loving and creating in the thick of family life. I am a self proclaimed Obsessed Fiber Artist! I LOVE yarn & am a crochet designer! I have been crocheting for over 33 years. To me, crochet is the most relaxing, unique, & rewarding form of self expression there is! LOVE Handmade!! Hi! My name is Jonna and I am a crafter at heart. I seem to always have to be doing something. I used to make jewelry and loved it…but once the kids became more demanding I couldn’t find the time to just sit and bead! My right brain was taking over and I needed to do something! So…I remembered I used to know how to crochet! I learned when I was 10 but only made scarves and that was about it! I soon found out that I could hang WITH my family and craft at the same time! My passion for designing just flowed organically from there and that’s how Frayed Knot began. I’ve also been a PROUD member of the Design Wars team since the very beginning! The crocheting community is like nothing else and I’m so blessed to be a part of it! Be inspired, friends!